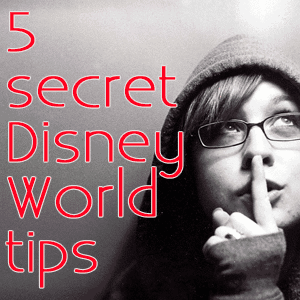 Today, I have 5 secret Disney World tips that you might not know. After hearing each one, you'll have to decide if they make sense for you. I also have a quick tip of the day regarding what time of day you can make FastPass+ reservations. Many of these fall into a grey area where some people may decide that they are ethical and others will decide that they aren't. Disney allows all of these things so decide for yourself if they make sense for you. Although Table Service credits are split between kids and adults, Quick Service credits aren't. That means that you can order adult meals at Quick Service restaurants for your children. There's a gift shop inside Rainforest Cafe that has its own entrance into Animal Kingdom. If the main gates seem busy, you can check out the Rainforest Cafe entrance to see if it's less crowded. Disney has a FastPass+ to eat lunch at Be Our Guest but they will tell you that it's by invitation only. The fact is that it's available to anybody. You can get the reservation by visiting https://beourguestlunch.disney.go.com/. You will need your 12-digit numeric confirmation number (not the alphanumeric confirmation number) which can be found in your My Disney Experience account before MagicBands ship, on Magical Express luggage tags and in some emails that Disney sends. These open up about a month beforehand so reservations for March will open up in mid-February. People staying off-site often want to take advantage of on-site benefits such as Extra Magic Hours or being able to make FastPass+ reservations 60 days in advance. One way to do that is with a reservation for a campsite at Ft. Wilderness. The reservation works for up to 9 people. People who stay at Ft. Wilderness are not a fan of these "phantom bookings" but other people will argue that when you pay for the spot, it's up to you how you use it. All Disney World Deluxe Resorts have valet parking available for $25/day. The non-valet parking has a limit of about 3 hours. This is especially convenient if you have a breakfast reservation at a resort and want to keep your car there as opposed to re-parking in another parking lot. As long as you have your valet tag or receipt, you can valet anywhere on-site all day without paying any extra (though you should tip at each location). Note: in the podcast, I said that on-site guests get free parking for up to 3 hours. I should have clarified that I meant when parking at other resorts. On-site guests using the general parking at the theme parks can park there all day. When making FastPass+ reservations 60 days in advance, you can begin at midnight eastern time (Updated May 19, 2016: it's now 7 a.m. eastern time). This is different than dining reservations which begin at 6 a.m. eastern time 180 days in advance. There are a few ways to get new episodes of WDW Prep To Go. Questions or other tips to share? Please feel free to share them in the comments. Is tip #4 still valid and would it work if you only book 1-day at the campgrounds but have a 4-day ticket linked in My Disney Experience? We’re going the first week of May—not an overly crowded time to go. The only Fastpasses I’m concerned that we might not be able to get is Anna & Elsa. Question: trip next week to WDW. Booked Disney’s Port Orleans Resort off of Hotels.com. Is this why my confirmation number can’t be found on the Disney app? Secret tips are great. Lessons in dishonesty not so much. #1 is unquestionably dishonest and though not all that serious in the scheme of things teaches children a bad lesson. Even if a tiny fraction of visitors each year take advantage of this flaw in Disney’s system it could still easily account for the equivalent of an entire Disney employee salary or more. Why not grab a pin off the pin cart when nobody is looking while you’re at it. As noted, it’s allowed by Disney so not to worry; Cinderella won’t be robbed of her paycheck. Thanks for the pin tip though! Free pins for everyone! #1 is not a big deal at all. If it was a big deal, a big company like Disney would make changes to stop and prevent this. They allow it. Nooooo biggie. Thanks for all the great info! We are 30 days out from our trip and the be our guest trick has not worked. I am wildly hoping that it is just because today is a Sunday and perhaps some spots will open tomorrow. I’ll keep trying. My kids really want to dine at BOG. Shannon- would love more posts on the Candlelight Processional, New Year’s in MK and the Epcot Flower Show….. Sorry, I tried to post this as a reply to the article, and it looked like it ended up as a response to a thread, so I’m trying again. This post was really helpful, thank you! I noticed that several people have posted questions about Tip # 1 (getting adult meals instead of kids’ meals with quick-service credits), and as far as I can tell, they have not been answered here. Maybe they have been answered more personally via email, but in either case I am still wondering how this works. Have you verified that Tip#1 is still true?? The official website, clearly states (as you indicated that it would) that a kids’ meal must be ordered if available. However, I read on another wdwprepschool post that “These [quick-service] credits aren’t separated into child or adult categories so you can theoretically get adult meals for your child.” I would really like to take advantage of this tip for my 8-year-old, but I am worried that, since all the meals are combined and can be used by anyone in the group, that I might use up all the adult credits at the beginning and then at the end of the trip be surprised that only kids’meals are left on the account. Thanks for all your research and work on this. So many people must be able to have a much smoother, less-stressful and more efficient trip because of your posts. My ten year old ordered adult meals without any trouble. She is a head taller than most kids her age though and that makes her look more like 13. Questions: so for tip #3 – where do I get that code/ confirmation number? “can be found in your My Disney Experience account” – I don;t see it on the application I have or on the site. “Magical Express luggage tags” – we are staying off Disney and will not have those tags. Are there any other ways to get that number? For tip #4: suppose I stay on site for one day and off site the rest of the days, and have 5 day Disney ticket that I purchased on Undercover tourist. Do I still get the wrist bands? Will I be able to take advantage of the magic hours only on the day I’m staying on site or for the whole 5 days? FP+ for Be Our guest is only available for on-site guests. If you’re only staying on-site for 1 day why would you be entitled to the extra hours for 5? Yes Natasha, you will be able to get 5 days of magic hours. You will need to get the wrist band, when you booked your room. That is incorrect Craig. While you’ll have Magic Bands (and the system will likely allow you to make FastPass+ reservations for the full length of your ticket), and you won’t automatically be gently reminded to leave by Cast Members if you’re shopping in a store or eating in a restaurant, your MB will be scanned if you attempt to ride any FP-enabled attraction during Extra Magic Hours. Your My Disney Experience information will indicate that you are no longer a resort guest, and you will be informed that you are not eligible for Extra Magic Hours. Ugh! I wish I’d known about this post a month ago. I just checked the Be Our Guest Fast Passes and they’re all gone for our trip next week. Regardless, awesome info! Thank you! Are the lunch fast passes at Be Our Guest their quick service meals or is it a sit down credit? It is a QS credit! I logged in way to early but was able to do so with my memory maker number and it only showed October 24-Oct 28 with no times available, but I’m concerned because our trip is until the 31st and I am looking for the fast pass on our last day. We are now 37 days out (woohoo!) and it still doesn’t show me the full dates of our trip. Have you heard of anyone else having this problem? Do you recommend I call Disney? The FP+ for Be Our Guest usually opens up 27 days before the day you eat there. Don’t call Disney about anything in this post – they’re secret tips that they will not be able to help you with. The quick service dining credit use is in no way a “gray area”. When you book the plan it specifically states that you must order kids meals when available for children ages 3-9. They are available at almost every place, the one or two places they are not on the menu then you may order them an adult meal. Any other use constitutes fraud. Thanks for your Be Our Guest fast pass tip. I was able to book the FP, but I forgot to print the reservation as it was suggested. I can’t seem to “log in” again to get to that page – it just says that I already have a reservation. Do you have any idea how to get back there to print? Love your blog! It’s been SOOO helpful for our first visit in t-12 days! Hey just listened this podcast.. I know its old but maybe you could answer my question.. if we do the dining plan and we have children who will be four and three….could we just use two of our quick service meals during breakfasts and lunch to make them last longer since we don’t eat that much food? I am 35 days away from my trip and have been looking at all the Disney Blogs since I want to make sure everything is near perfect for my family and I’m not very experienced at planning Disney Vacation (and also to help with all the excitement I have leading up to the trip lol). I have been clicking random posts on your blog and found this post and am now so STOKED! We were able to get a Fastpass for BOG Lunch with no problem. THANK YOU SO MUCH! If you use a Fast Pass for Be Our Guest Lunch and it will not show up on your my Disney account are you still able to get three Fast Passes for Magic Kingdom for that day for rides? Or do you get the Fast Pass for Be Our Guest and only two additional Fast Passes for rides? Thank you so much! I am going in the beginning of June, and I was able to book mine today. It isn’t showing up in the MyDisneyExperience info at all, but when I log back in to the link posted above, it still has the confirmation info. I’m not clear if you listened to it or just read the notes. I discuss why it might not be a good idea in the podcast itself. I think it falls into a grey area and people need to decide how they feel about it for themselves. I think I agree with the original poster. Not sure how this is a “grey area” at all. Under what circumstances would be it be ok to reserve a spot that you’re not going to use thereby keeping a legitimate user from booking it? It’s up to you how (or if) you use the space that you’ve paid for. If you don’t think it sounds like a good idea, then you shouldn’t do it. I was able to make the BOG Fastpass reservation with the ticket number listed on my luggage tags for the Magical Express. It doesn’t show up in my disney experience as a reservation but I was able to print out the confirmation with meal selections shown and I think that will be sufficient in case it doesn’t show in their system when she show up. I was able to make the BOG reservation but since it doesn’t show up in MDE and it doesn’t give a confirmation # like ADRs I am nervous that they won’t have it when I check in. Just want to make sure I won’t have any problems when we go to check in. My 74 year old father will not be happy if we don’t get in :). This drives me INSANE. Our favorite resorts are Villas at Wilderness Lodge, Grand Floridian, Polynesian, Animal Kingdom Villas, and, depending on the time of year, the campgrounds, which we LOVE. It is now impossible to get a reservation there because people use it for 1 night ressies. Total bummer for families who actually intend to stay there. Is the FastPass+ BOG reservation in addition to the other 3 FastPasses or is it an additional one? I don’t want to hit confirm and then have it omit one of the ride FastPasses. Thanks! No, it doesn’t count as 1 of your 3 FP+ reservations. I love your tip re making a campground reservation to get onsite guest benefits! Do I have to actually check in in person at the campground once I’ve paid etc? Will I get the onsite benefits like FP+ even if I only pay for the tent only pitch? I’ve bought my park tickets already – will I get onsite benefits ie be able to make FP+ reservations in advance for the check in and check out days too as long as I link them to the app? You are amazeballs! Did you have to physically check in at the campground? How did this tip work for you? I just wanted to say that the BOG fast pass lunch worked for me. My trip is about 45-50 days away and when I tried it around 60 days it did not work, (said there were not FP available for my date range.) when I tried it yesterday, it did! I was able to choose an arrival window. Thank you SO much for this tip! This was the one detail I was concerned about squaring away. I received my 12 digit number from the My Disney Experience site, where my magic bands info appears. I’ve “heard” that once your magic bands are ready to ship– the code is available on MDE. Hope this helps someone else– that it does actually work! I just made our Be Our Guest “reservation” for lunch, but it’s not showing up on my itinerary on My Disney Experience. Did I do something wrong??? Also, is this in addition to our three other FastPass+ reservations? JUST read in another answer above that the BOG reservation isn’t included in the 3 FastPass+ reservations! Sorry about that! Listened again…got my answers! Sorry…again! How does the quick service thing work? Do I take my kids magic bands to order? My family is meeting my SIL and nephews there, one won’t have to order kids meals but my 9 yo will, this may cause issues! You only need one band to use your family dining credits. You’ll need each band scanned to use fastpasses, though. If you are staying onsite can you park at any of the resorts without having to pay extra or is the 3 hour limit for everyone? I just tried doing the fast pass for BOG but I can’t find my numeric code. My reservation number has letters. What can I do? I had trouble finding mine at first too, but then I read this from the original post: “You will need your 12-digit numeric confirmation number (not the alphanumeric confirmation number) which can be found in your My Disney Experience account before MagicBands ship, on Magical Express luggage tags and in some emails that Disney sends.” Hope that helps! 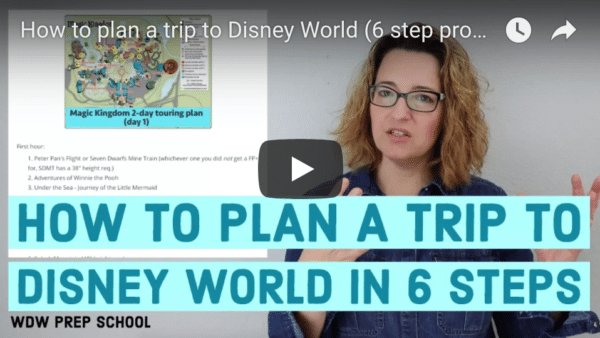 As I mentioned in the podcast, Disney will tell you that most of these tips aren’t possible. If you booked a package and you aren’t using Magical Express, there’s a chance you won’t be able to locate the 12 digit number. I found my number in the “Resort” section under “My Plans” on “My Disney Experience”….It was listed there with my hotel plans. I just made our lunch reservations and it was really easy! A little strange to pick out what I will eat on March 25th though, ha! I simply called and asked on the phone for my Reservation ID number. Said I was trying to make a FastPass reservation for BOG and I didn’t have the right number. The cast member on the phone said “Oh, I know what number you need” and looked it right up for me. Easy Peasy. Just FYI. I can’t find the numeric confirmation I’D for the BOG fast pass. Mine has letters. So am I not eligible? Going to Disney next week. So excited! I have tried to use the be our guest link, but for resort reservation ID it will not let me type in letters, which my ID has. Any ideas what I am ding wrong? Called Disney and it was just like you said. They said I needed an email invite. Martha, your blanket response to everyone is not very helpful. Every page that I have visited also has letters in my confirmation (including the magic band page, the resort confirmation page, the package confirmation page, all of my emails, etc). I’m hoping when our magical express tags, magic bands, etc come that it will have a number I can use. For now? No 12 digit numeric reservation code. You will definitely be able to find the number on your Magical Express luggage tags. Brad, I was able to get in using the 12 digit confirmation number from the memory maker package #. It came up with my party’s info. You may be able to get through using another ADR number, any 12 digit number attached to your package looks like it may work. Thank you for the fun tips! If one registers for the fast pass for Be Our Guest via the link, does that use one of the fast passes that one receives or is it in addition to the ones that they issue if you stay on site? No, it doesn’t count toward your daily limit of 3 FP+ per day. I’m a little confused about #3. How can anyone get a FastPass for lunch at Be Our Guest if the advanced reservations are for on-site guests only. We’re staying offsite and I had hoped to try to have lunch there on the day that we’ll be at MK. Will we have to just try our luck at getting in, or will a FastPass be available for us also? I just mean that you don’t have to be invited but anyone staying on-site can get it. I tried this link and it won’t recognize my “my disney experience” account. Do you know if this has worked for anyone? We are vacationing next week (4/6-4/11) and I used the link yesterday to get a FP+ for 4/10. No problem securing it at all. However, I was not asked for my 12 digit confirmation number…I only had to give my Disney login information. I just tried the Be Our Guest FP+ link again and the form did still ask for confirmation number. I was hoping it had gone away to make it easier but it appears to still be there. Just tried again and it did NOT ask me for a confirmation number so I’m trying to figure out when it asks and when it doesn’t. I am 59 days out as of today. My Conf# had letters in it so I called tech support and they gave me my numerical reservation ID #. After logging in it asked me for my res # and First/Last name. I typed it all in and it said “guest already registered” I called tech support again and they said you HAVE to have an invite to be able to book a fastpass. I’m hoping mine will magically start working before June 5th or I get an Invite!! Try again in a few weeks and you’ll be able to get it. I’m not seeing any dates for BOG during our trip in May, is there a certain number of days out that it will show up? It’s only around 30 days out that you can start to book. Start checking about 60 days then every 5 days after if you want to be sure you don’t miss your window. This is good to know. My family is planning our first trip to Disney in May, and I purchased the Quick Service dining plan. I am taking my niece, who will be above the age for kids meals, and my daughter, who I thought would have to order off the kids menu. I was worried that there would be arguments about my daughter having to order off the kids menu while my niece didn’t have to. This was something I was not looking forward to! I’m so glad you posted this because I wouldn’t have known otherwise. Thanks so much, I love your site! I go on it everyday! If I’m paying $70-$80 at an off-site hotel plus $50 for the campsite, why don’t I just stay at a value (or even moderate) resort? If you have more than 4 people, you can’t stay at a Value Resort.